Enhances your skin's capacity to function optimally by exercising facial muscles and works to leave the skin feeling immediately tightened and firm. 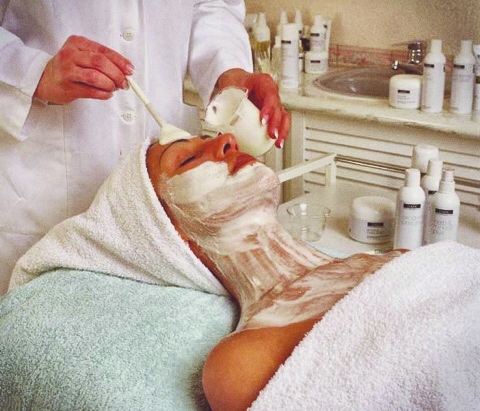 With a series of treatments profound health and vitality return to the skin. Learn more about DMK. Helps to restore and regulate skin functioning so we are getting to the core of the problem not merely focusing on the surface. Improve the health of the skin, and treat poor skin functioning that contributes to wrinkles, fine lines, premature aging, pigmentation, blackheads and breakouts. Who is it for? How does it feel? Suitable for most skin types and conditions. The enzyme masques get very tight and harden on the skin, pulsating into a throbbing feeling. Some clients experience an itching sensation as well. These are all very good signs that the treatment is working at its best. The skin will look plump, fresh and glowing, post treatment. You may also experience some superficial flakey skin this will vary depending on the amount of dead cell accumulation and the pre-treatments performed before the Enzyme Therapy. Brings nutrients and oxygen to their skin cells. True nourishment to the skin is blood. If blood doesn’t flow to the skin - it dies. So the importance of increasing our natural way of nourishing our cells is vital in a successful skin revision program. Back flushing in and around the cell, and through the capillary loops. This cleanses the environment that the cell lives in and the capillary loops that are the road ways of blood, nutrients and oxygen to the cells. Moving lymph back down into the major ducts of the neck. Stimulates to produce collagen, elastin and glycosaminoglycans (GAGS). The treatment focuses on what you don't like on the surface; but gets to the core of the problem, and rebalances the dysfunctions that cause the undesired condition.